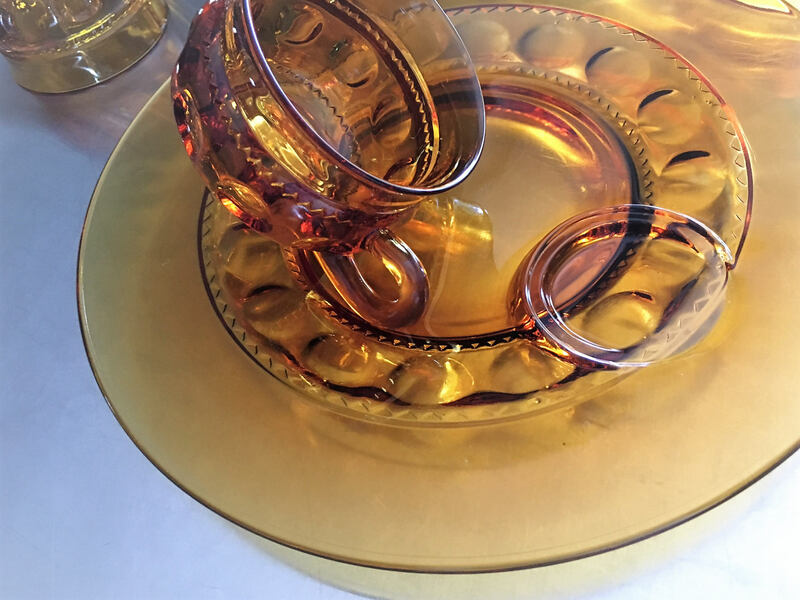 This groovy amber set of plates and glasses is perfect for entertaining. From the weekend games, to the backyard barbeque, to the mid-week book club meeting. 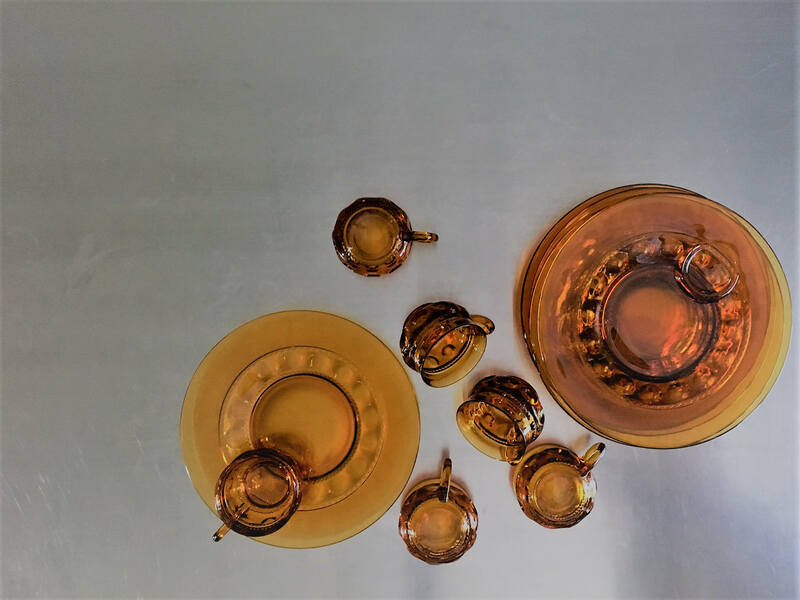 This vintage Kings Crown set is sure to impress. 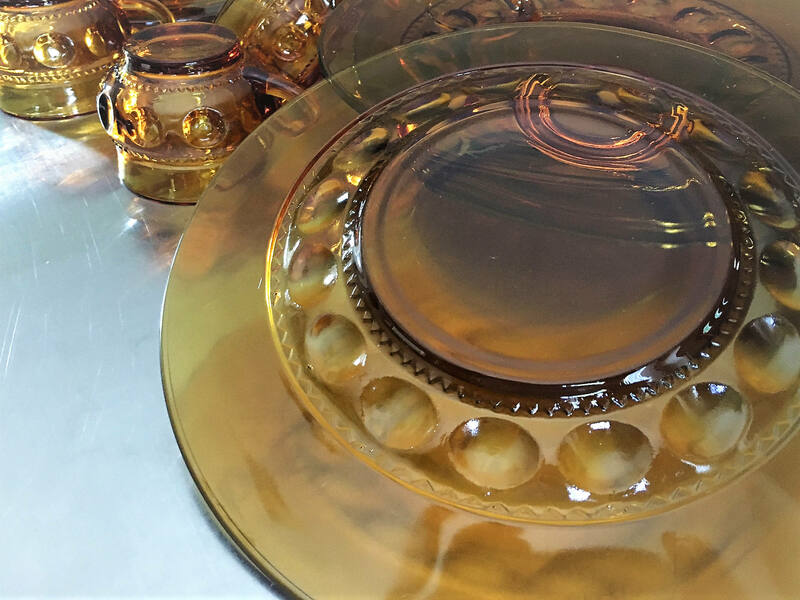 The Indiana glass in the popular thumbprint pattern is simply stunning. 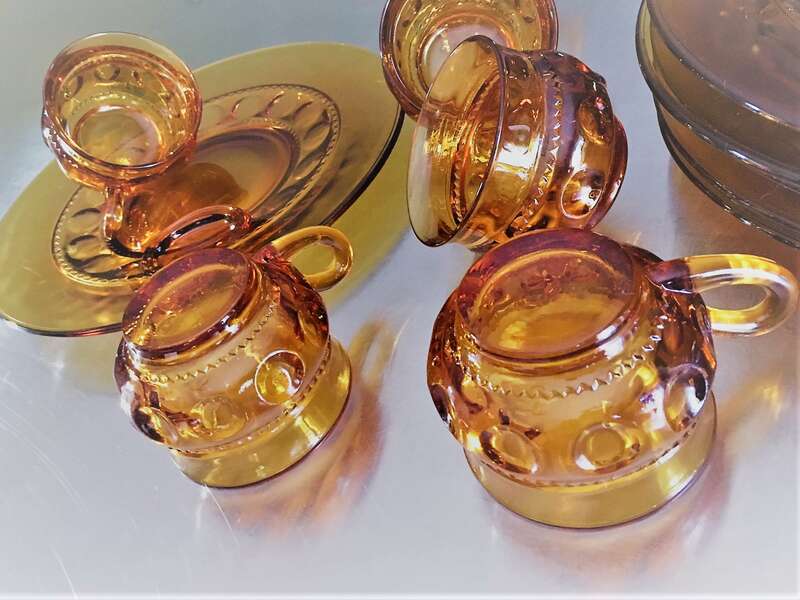 These retro pieces shine as brightly as they did decades ago. 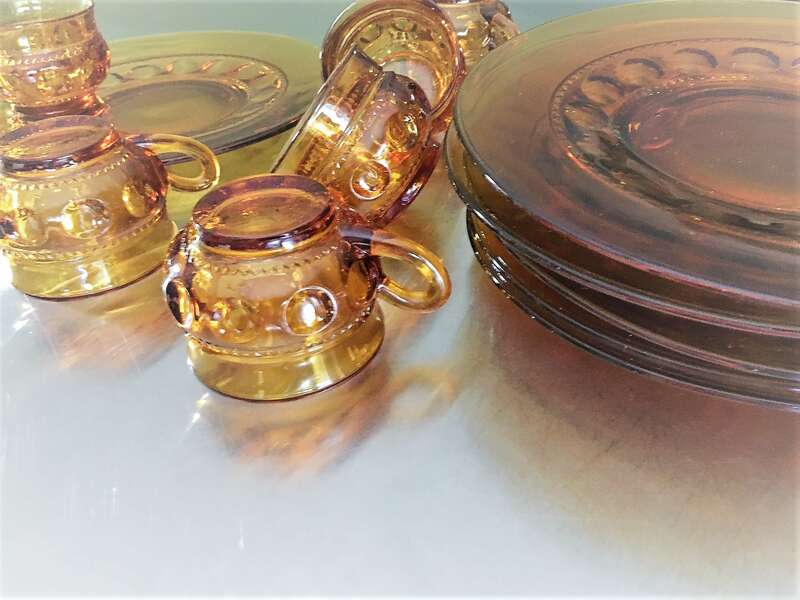 The plates are 10 1/2 inches in diameter and the cups are about 2 1/4 inches tall and 3 1/4 inches wide at the mouth. 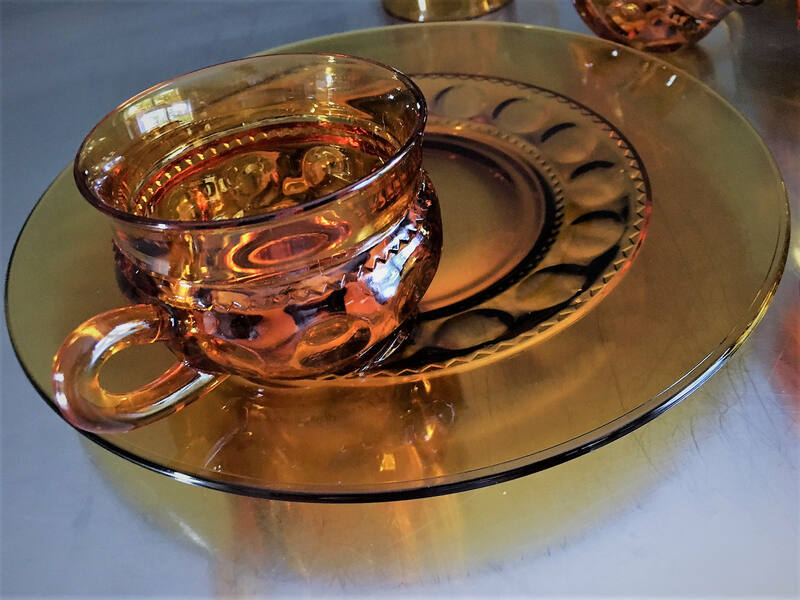 The plates have a recessed circle in which the cups sit. This heavy set is free from cracks and chips. Bring on the punch and the apps. Let's get this party started. I am selling these in sets of two. 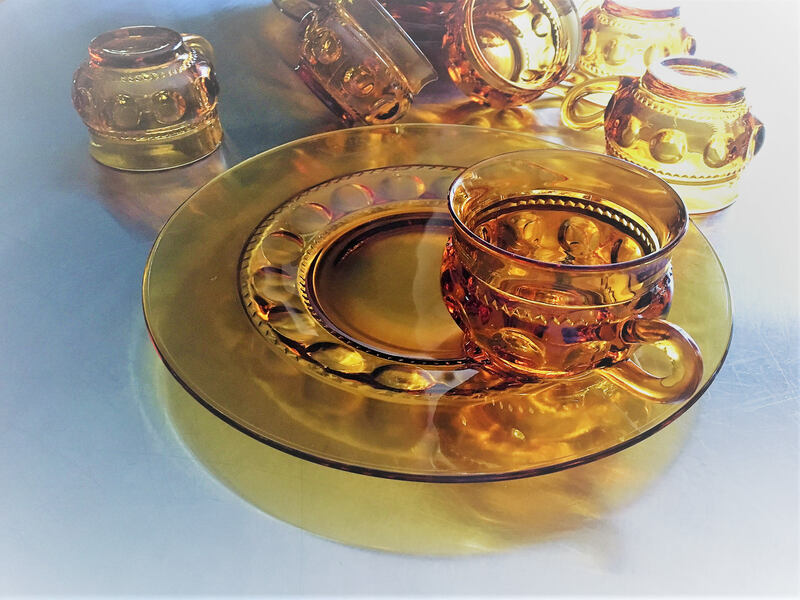 Each set will include 2 plates and 2 cups.